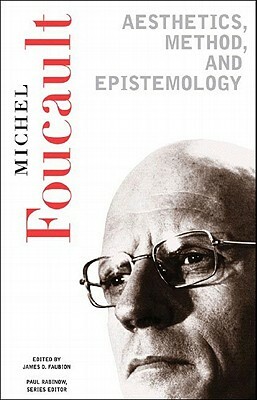 Few philosophers have had as strong an influence on the twentieth century as Michel Foucault. His work has affected the teaching of any number of disciplines and remains, twenty years after his death, critically important. This newly available edition is drawn from the complete collection of all of Foucault's courses, articles, and interviews, and brings his most important work to a new generation of readers. Aesthetics, Method and Epistemology (edited by James D. Faubion) surveys Foucault's diverse but sustained address of the historical forms and interplay of passion, experience, and truth. Michel Foucault (1926 1984) was one of the most influential philosophers of the twentieth century. He held a chair in the history of systems of thought at the College de France and lectured at universities throughout the world. The New Press has published his books "Aesthetics, Method, and Epistemology"; "Ethics"; "Power"; "The Essential Foucault"; and "The Chomsky-Foucault Debate" (with Noam Chomsky). Foucault s other books include "Madness and Civilization," "Discipline and Punish," "The Order of Things," and "The History of Sexuality." James D. Faubion is a professor of anthropology at Rice University. He is the author of "The Shadows and Lights of Waco "and "Modern Greek Lessons" and the editor of Michel Foucault s "Aesthetics, Method, and Epistemology" and "Power," both available from The New Press."